Citation: Diederich, P., D. Ertz, N. Stapper, E. Sérusiaux, D. Van den Broeck, P. van den Boom & C. Ries, 2019. 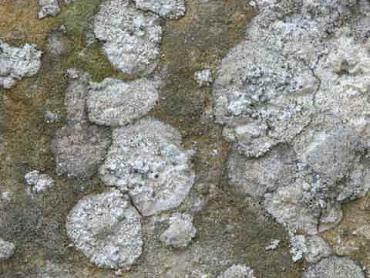 - The lichens and lichenicolous fungi of Belgium, Luxembourg and northern France. - URL: http://www.lichenology.info [20.04.2019]. Lichenology in Luxembourg and Belgium started in the early XIXth century, but it was especially towards the end of that century that national floras and checklists became available. 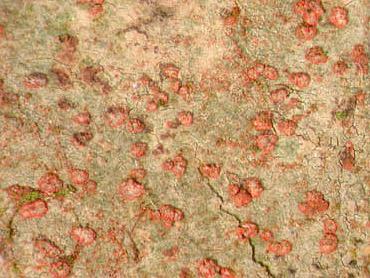 In 1898, De Wildeman published a checklist of the Belgian lichens, with indications on localities and references for each species. One year before, Koltz (1897) did the same for Luxembourg. In 1938, Duvigneaud & Giltay presented a revised Belgian checklist, but this time without chorological data. The number of species recognized by these authors was rather low, with 586 species reported from Belgium, and only 404 from Luxembourg. After 1900, the lichenological exploration dramatically declined in these two countries, and it is only since the beginning of the sixties that, through the work of Prof. Jacques Lambinon, a new era of lichenology started. It is also during that time that Belgian lichenologists started exploring the neighbouring areas of northern France, which are therefore included within the scope of the present checklist. Since the early eighties, we have attempted to fill the gap by preparing a detailed inventory of crustose lichens, as well as of lichenicolous fungi which, although not lichenized, have traditionally been studied by lichenologists. The rapid development in lichen taxonomy, the new techniques to study them (e. g. by thin layer chromatography), the availability of modern illustrated floras, the continuous discovery of previously unknown taxa in Europe, and also the meticulous search in the field for minuscule, inconspicuous crusts in previously neglected habitats rapidly led us to discover or recognize over 700 additional species, which had never been recorded in Belgium or Luxembourg before. The precious help of several colleagues and friends, mainly from the Benelux countries, was invaluable to achieve these results. Nowadays, the total number of accepted species almost reaches 1250, more than twice the number of previously published taxa. Nevertheless, no doubt this number will continue to increase in the forthcoming years for several reasons: we know of many, often sterile crusts, that still require identification; several genera are poorly known in the area of study (e. g. Acarospora, Thelidium, Verrucaria); many lichenicolous fungi and some small, inconspicuous crustose lichens are only found by chance, and despite very careful sampling during these past years, many have certainly been missed; comparison with modern European floras or checklists suggests that a relatively large number of additional species might occur in the study area. Therefore the aim of this internet site is to update our current knowledge of lichens and lichenicolous fungi in Luxembourg, Belgium and northern France, and to encourage students and botanists to pay attention to this fascinating world of organisms. Even if the exploration of our lichen flora might be considered as finished, students should not forget that many species are still very poorly recorded, and that much additional work still has to be realized. Furthermore, we should not forget that lichens, which are excellent indicators of biodiversity, are vanishing rapidly, and that their conservation should be treated with priority.